To make good espresso requires the temperature to be within the right range and to stay stable, and for the pressure to be kept within certain limits. Mess this up and your espresso is dead. Such tight conditions mean that some of the parts that make up the espresso machine need to be high quality, such as the boiler and the pressurestat. Add in the fact that most espresso machines are handmade and you’ve got yourself an expensive piece of kit. To truly understand what makes espresso machines so expensive, we need to understand why espresso is different to every other method of making coffee. Espresso is made by forcing hot water through a tightly packed ‘puck’ of coffee grounds at high pressure. the water passes through the puck in a matter of seconds, and there’s the rub. Unlike a French Press brew that takes 4-5 minutes, espresso takes 10-15 seconds. Get the conditions like temperature, pressure or even grind size wrong with espresso and any small mistake gets amplified. 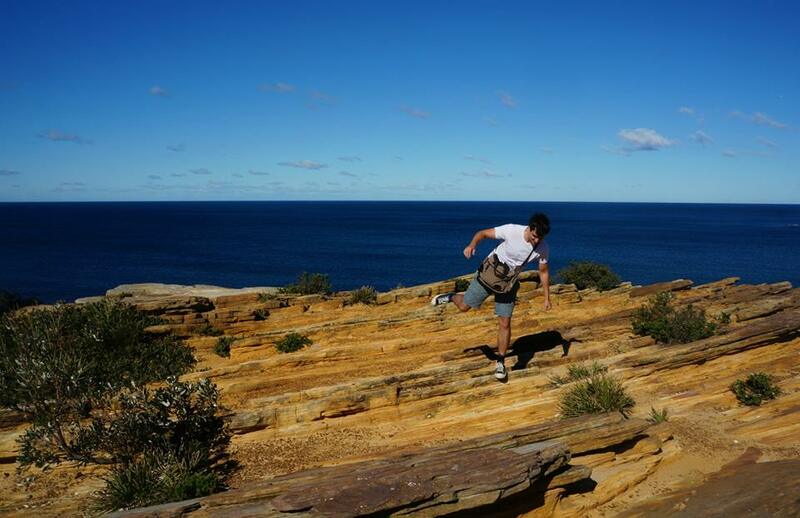 It’s kinda like if you trip over when running a race. Take that fall in a 26-mile marathon and you can get up and keep going like nothing happened. Trip over in the 100m and you’re coming dead last. Taking just the pressure, for example, an espresso machine uses 9bar of pressure which means it needs to create 9 times the pressure of the atmosphere to makes its espresso. It also needs to do this reliably and to be constant over long periods of time, sometimes being used hundreds of times in a day. The ‘pressurestat’ which regulates pressure and temperature inside the machine alone can cost upwards of $100! So reason #1 is that you need high-quality equipment to make good espresso. Now reason #2 is a lot more simple and that’s that those cheap Walmart coffee makers are made on a production line where the process is automated and you get the advantage of the economies of scale. Espresso machines are all hand-made (I believe). If the demand were there to mass produce espresso machines then I guess those prices would fall through the floor. Lastly, it’s worth pointing out that on the extreme upper end where you get espresso machines that cost in the region of $20,000, these are designed for commercial use. 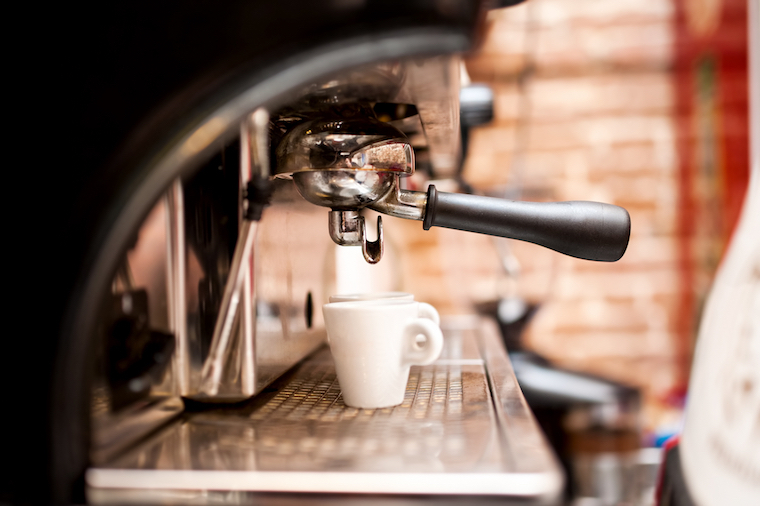 When you open a coffee shop, you not only need an espresso machine that is going to be able to pull hundreds of espresso shots per day, you also need it to stay operating. If that thing breaks down then you ain’t selling no more coffee! Why Are (Autodrip) Coffee Makers So Much Cheaper? Go to Walmart and check out the coffee makers and you’ll see plenty that retail in the $30-50 range. Then compare that with an entry level espresso machine some guy with a beard in your local roaster recommends and it’s at $650. But they’re both just hunks of plastic and electrics that spurt coffee out… what gives? The truth is… those coffee makers at Walmart are simply not worth buying. Sure, if you just need some brown stuff in the morning that you can drown out with cream and sugar that’ll give you a caffeine hit then yea… it’ll do the job. But to produce high-quality coffee most coffee makers are falling way short of what’s required. Enter the SCAA accreditation. This regulates features of the coffee maker in much the same way that it is needed with espresso machines. 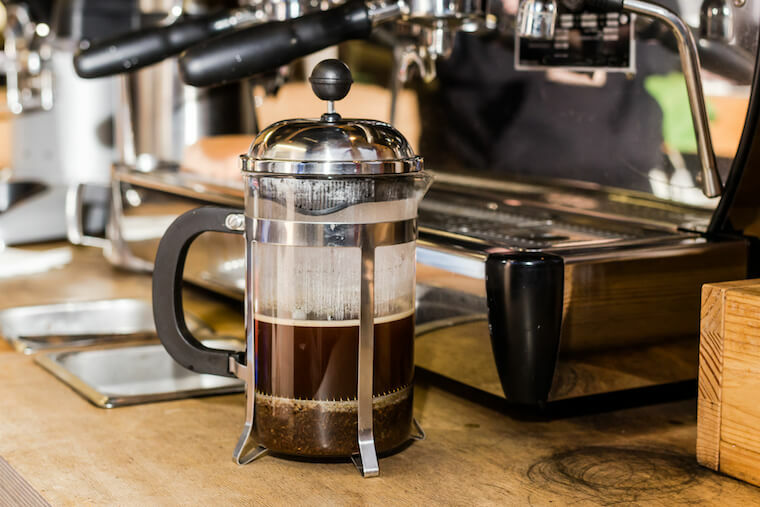 For example, one example is that to attain the SCAA badge a coffee maker needs to prove it can reliably hold the water temperature to 195-205°F for the duration of the brew. This requires a decent boiler, similar to espresso machines. The conditions that are needed to meet the SCAA’s standards mean that your coffee is being brewed properly and tasting a whole lot better. 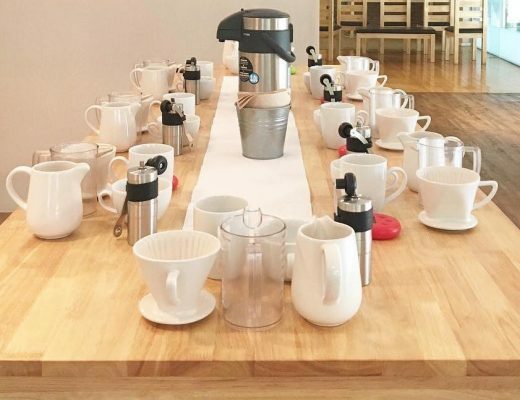 All this put together means that coffee makers that are SCAA certified, and there aren’t that many of them, cost more in the region of $100-300. You can check out the ones I recommend in my article about it here. Are There Any Reasonably Priced Espresso Machines? The first thing to point out is that if you’re after ‘good’ espresso, then you need to realize that it doesn’t come cheap. You’re looking at $300-600 for even a reasonable entry level machine and then you’ve got grinder costs on top of that which is at least another $100. On the other hand, if you’re just looking for something that will come up with the goods that you can use to make a latte or a cappuccino then you do have options available. My recommendation would be the Delonghi EC155. It’s a pretty easy to use piece of kit that can be used with pods or ground coffee. It has a steam wand and will make espresso, it’s pretty remarkable that they’ve managed to make a functioning espresso machine for such a low price. Anyway, you can check out more by clicking on this Amazon link. These things have electronics and moving parts and boilers and a whole lot of gadgetry that pushes that price point north of the $100. And usually a long way north of it. But what about home coffee brewing on a budget? There are actually ways to make coffee that come in at very reasonable price points that I’m going to discuss, and despite the cheapness, they are all capable of producing really great coffee. Loads better than your hunk o’ junk garage sale coffee maker. 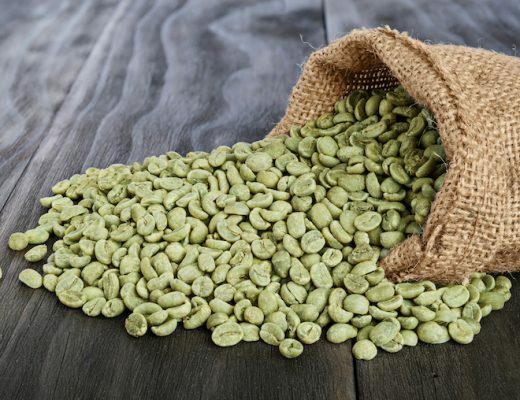 This little baby is the coffee world’s best-kept secret. Super popular in the kitchens of Italy, it hasn’t made much of a headway over here in the States for some reason. The coffee it makes can be described in its other name, the stovetop espresso maker. 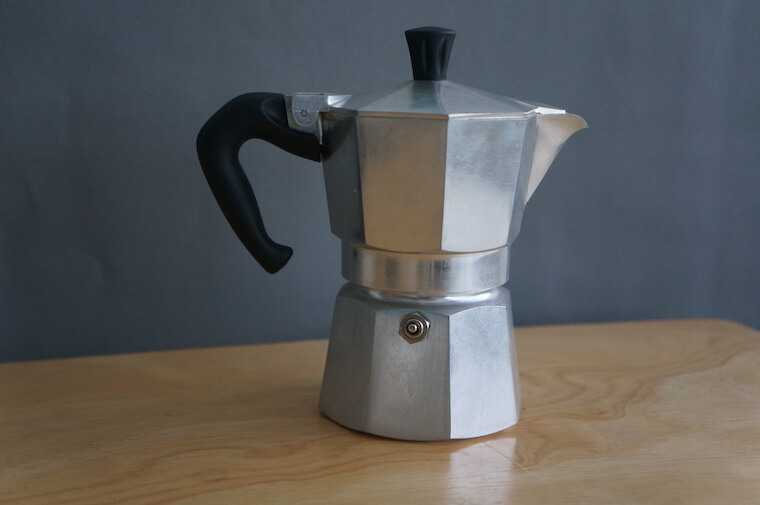 Fill her up and pop her on your stove and within minutes you will have an ‘espresso’ that is not too dissimilar to the real thing. It’s small enough and strong enough that you can make all your favorite drinks like Lattes and Cappuccinos at a fraction of the price point. 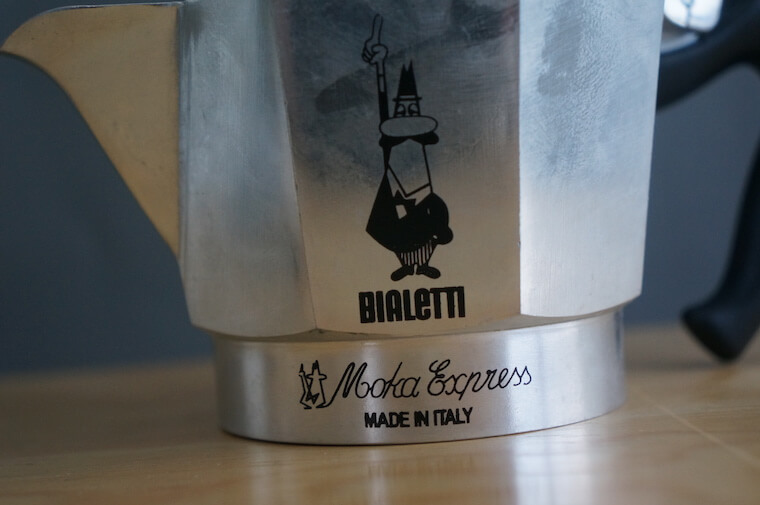 The photo below is of mine which is called a Bialetti Moka Express and is actually the original. If you wanna see more photos then check out my review I did of this awesome little thing. The French Press is often maligned as a ‘cheapo’ coffee maker which is an unfair tag to a coffee maker that packs a real punch. The beauty of the French Press if twofold. First comes its simplicity, making a brew is as simple as mixing the coffee and water then plunging when you’re done. 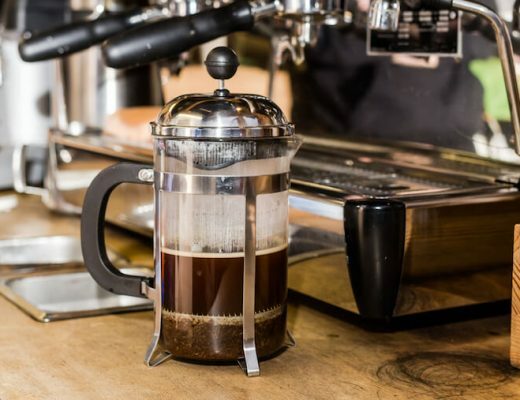 The French Press is no beginner coffee maker, it’s much loved by advanced drinkers and gives a really unique taste despite its cheap price and simple brewing process. You can pick up a Bodum for pretty cheap by going here. 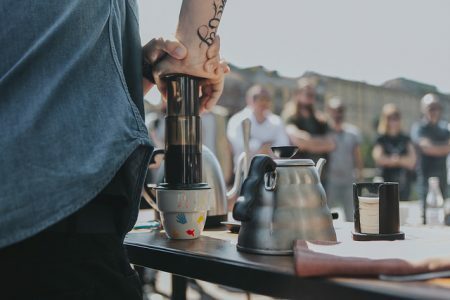 Next up in this list of cool ‘n’ cheap coffee makers we’ve got the Third Wave of coffee’s little darling, the modern Aeropress. 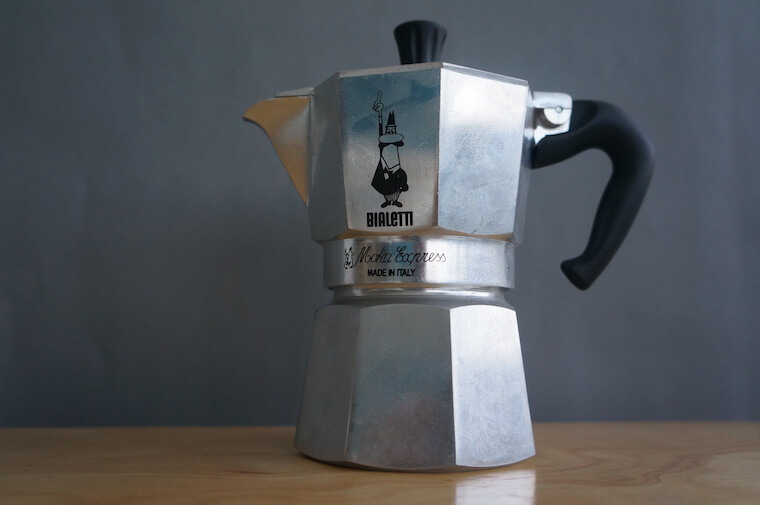 You can use this like the Moka Pot to perform small shots of extra strong coffee, although I think the Moka does a better job of creating espresso-lite type coffee. The Aeropress is best used on its own strengths, which is a fast brewing process and a wealth of interest in the coffee world. Want to try a new recipe? Just get online and you’ll find millions of people telling you the best way to make Aeropress coffee. And oh yea, there’s even a World Championship as well! Check this one out on Amazon here. Great article – very thorough and informative!